Interns…they are so enthusiastic. We didn’t have the heart to tell them that we were well aware of Mr. Boyer and his amazing wooden clock designs, moreover that we had already saved some room in this Winter’s RainyDayProjects schedule to build some of the clocks. However, as we had not picked out any specific plans, we let them choose a few to use for the BladeRunner FirstUse test. Amazingly enough, they chose the two plans which were among the top contenders on our own list. While we love all the designs, we were particularly drawn to the kinetic, sculptural nature of Planets. Here is a video of it in action posted by the maker. It is a mesmerizing combination of chaotic and periodic orbital movements. Who WOULDN’T want to make that??? When we first came upon the Thunderball, a small plasma globe we reviewed back in March, we knew we wanted to somehow use it as part of an orrery. 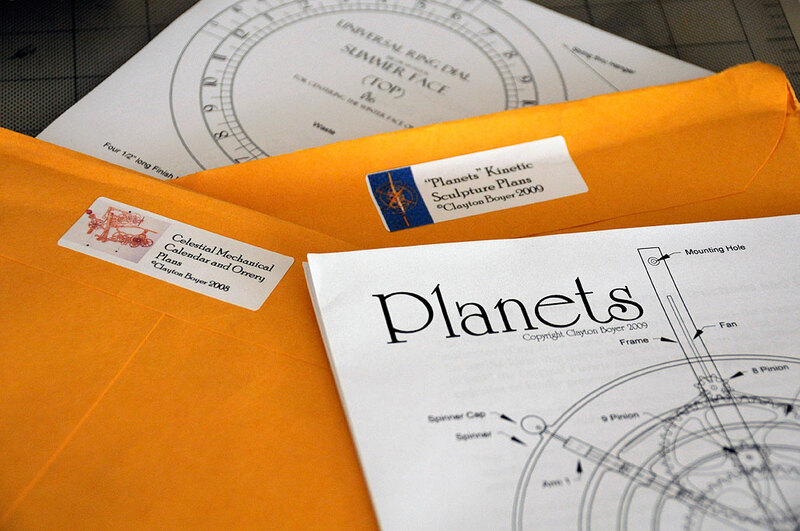 We looked around for suitable plans, but surprisingly orrery plans are kind of difficult to come by. 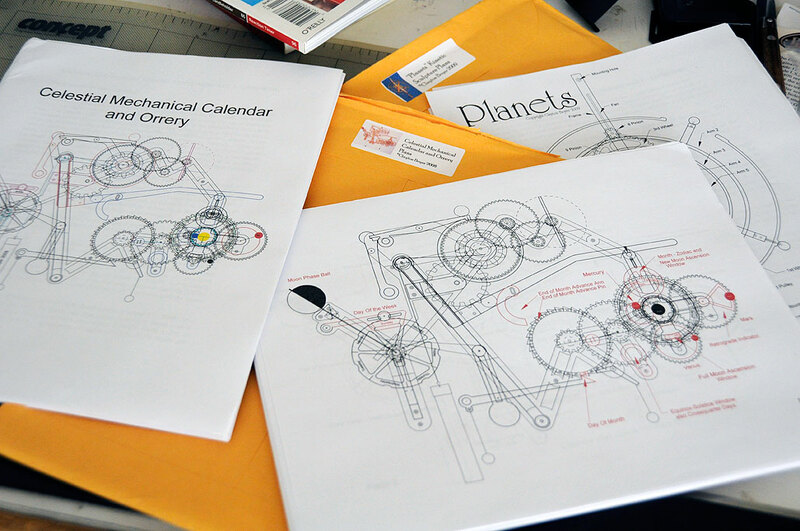 The instant we saw Clayton Boyer’s Celestial Mechanical Calender and Orrery, we knew the design was EXACTLY what we wanted. The layout was unusual, kinetic, and had a few potential spots where the Thunderball could be accommodated. Of course, we are not sure just how to incorporate the plasma globe into the build, but we have a few months to study the plans and work out some possibilities. After a quick reading of the plans, we think they will definitely put the BladeRunner to the test. It will be interesting to find out just how far we can push the machine. We are certain that it will be able to handle the simpler cuts, but we may need to up our game for making the more intricate gears. Before proceeding with the builds, we are going to explore some other options (scroll saws, CNC routers, etc…). These projects look to be really fun to build. We hope you will follow along, get inspired, and perhaps give wooden clock building a try yourselves!